Frail in body but filled with an audacious spirit, Victoria secretly dreams of attending university to become a botanist like her father. But this most unladylike wish is not her only secret—Victoria has stumbled upon a family scandal that, if revealed, has the potential to change lives forever. . . . While I do tend to read the paranormal or young adult genres there are times when I get the urge for a good historical. 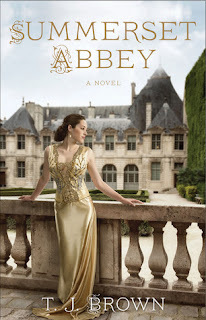 SUMMERSET ABBEY appeared to the perfect book to scratch that itch. Not a romance though there are romantic elements to the story as there must be when the tale is centered about three young women. Not a mystery though there is definitely elements to the story that take a while to bubble to the surface. I found SUMMERSET ABBEY to be an interesting book. It is centered around the three 'sisters' and what happens to their lives after their beloved father dies. All of the sisters do get equal time and I will admit that I definitely had my favorites among them though I found them all interesting in different ways. In reading about their lives and their interactions with the secondary characters I was given a clearer picture about how society constrained women in earlier times and just how much importance was placed upon just who one's parents are. I found this engrossing. I can better appreciate just how much difference the Sufferage Movement has made in the lives of women today. How one isn't expected to move from your family home into your husbands and how one can now marry for love regardless of one's class. The only thing that I didn't care for in SUMMERSET ABBEY was the ending. I realize that it is only the first book in the series yet it felt rushed to me. Because of this I am not able to rate this book as high as I might have otherwise. I rate this book a 3.5 and do recommend it to readers who enjoy historical fiction.